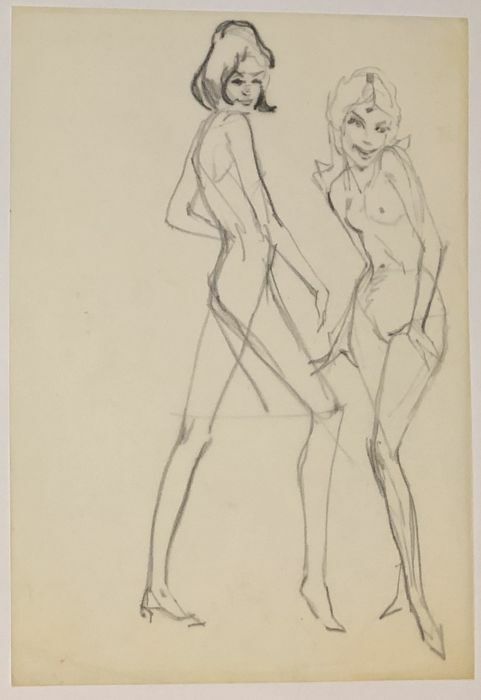 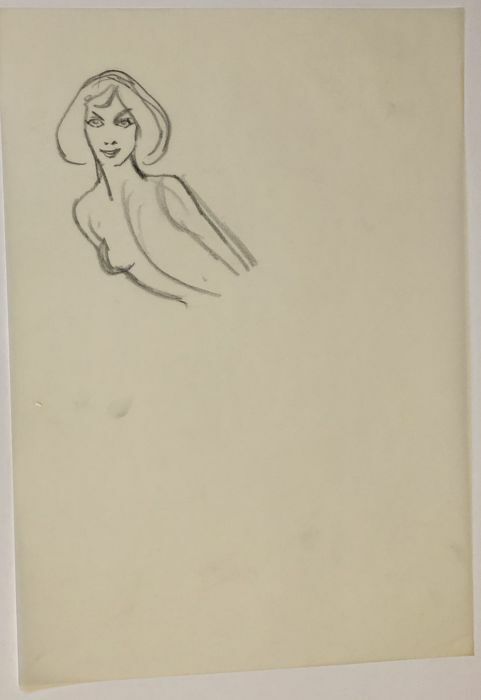 Original drawing of women in pencil on tracing paper by Gideon Brugman. 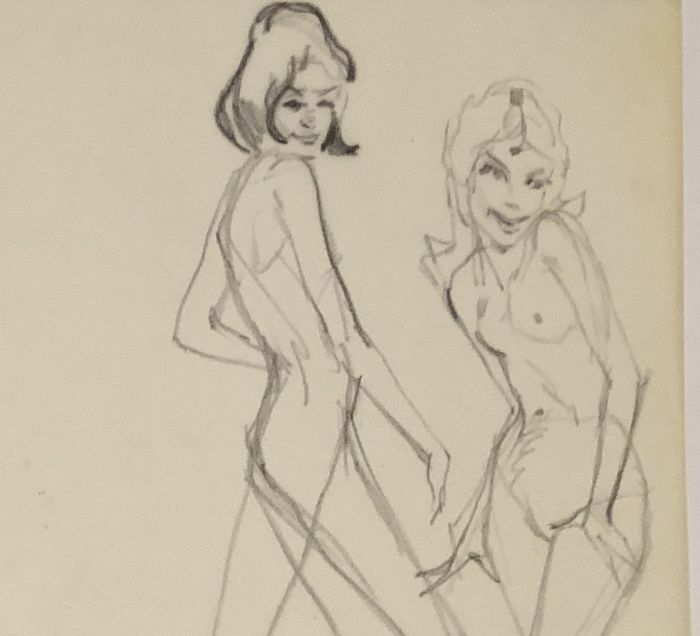 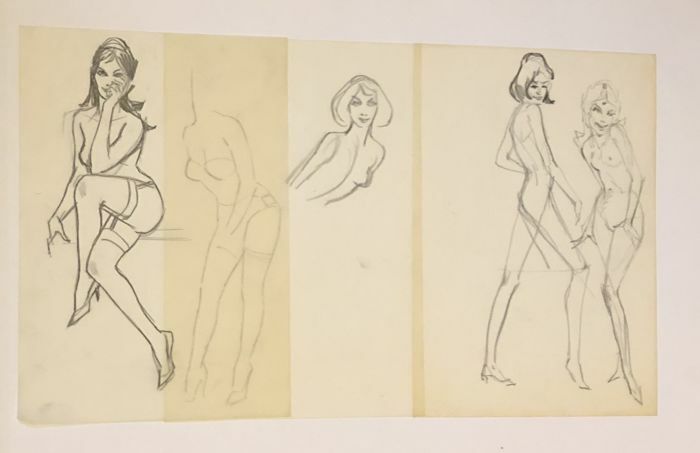 Possibly a pre-study for James Bond-women. 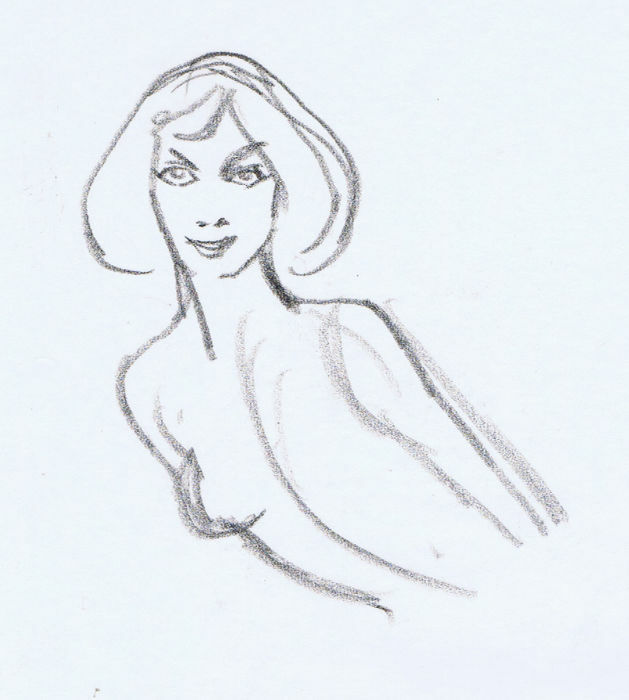 A drawing that I'm not offering for sale here has a Bond title (From Russia with Love) written in pencil. 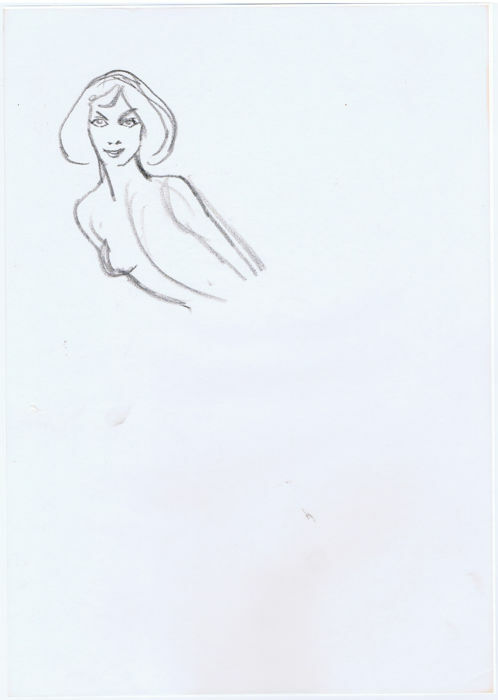 Good condition, small hole in the middle left side of the drawing of a woman with her hand on her mouth and drawing with the top of a female, but no hole in the drawings themselves.